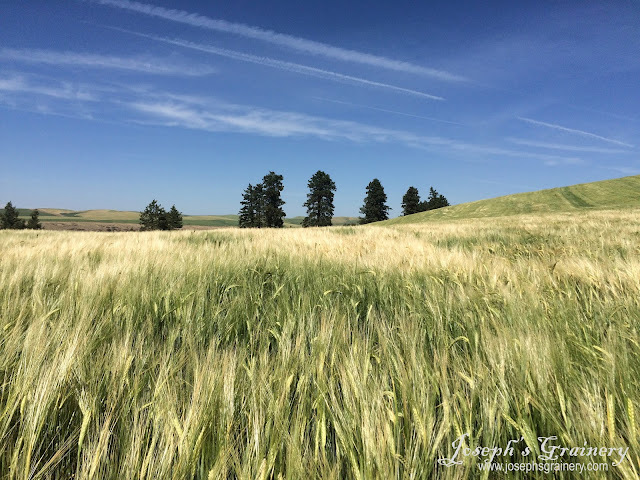 As we're quickly approaching the time of year we call Harvest here on the Palouse, we thought we'd show you what the crops are looking like and where they are at in their final stages of growth. Your Joseph's Grainery crop is ripening in the hot summer sun. Bill took to the skies the other day and came back with these great shots of the fields. 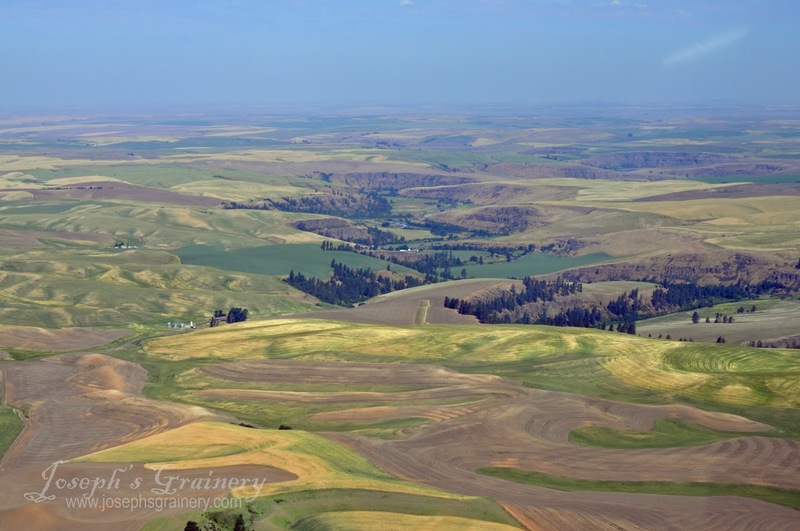 Do you understand now why they are called the Rolling Hills of the Palouse? The trees in the center of the photo are following along the Palouse River Valley. Looking from the sky, you can see the various crops in their different stages of ripening. You're probably wondering, why the fields are laid out in such an unusual manner? Well, they follow the topography of the hills. 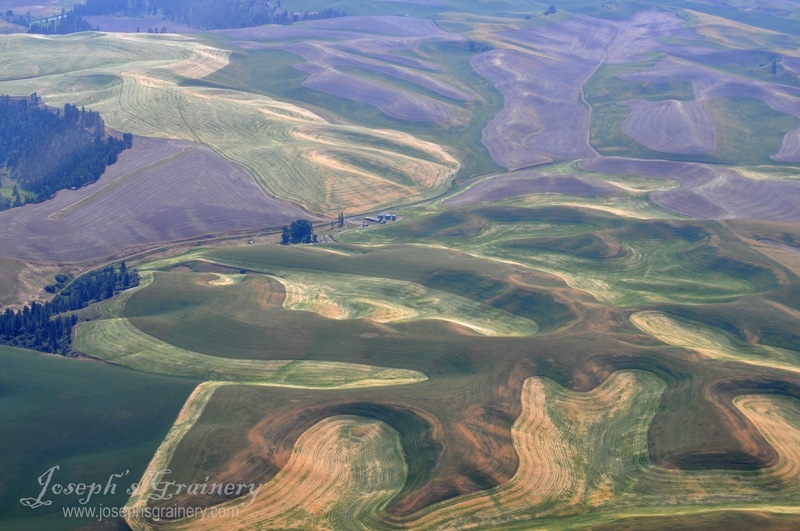 Laying your fields out in such a manner is called Contour Cropping and helps reduce soil erosion on the steep hillsides. This is an example of a agricultural practice we use to be good stewards of the land. Here is the 2015 Crop of Joseph's Grainery Barley. The barley is turning from green to gold and will be ripe and ready to harvest in a couple of weeks. 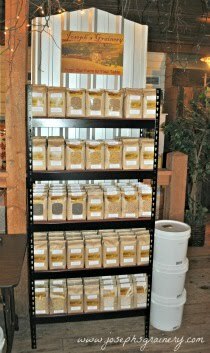 Order the best grain and legume products in the world right here. You can rely on the Joseph's Grainery brand for the highest quality and purity. From Our Farm To Your Table.